Providing family fun since 2005! Your new SnapSports® backyard athletic multi-court is a place for friends and family to enjoy the sport of their choice, including: basketball, football, soccer, inline hockey, volleyball, paddle sports, shuffleboard, tennis, badminton, and more! The outdoor SnapSports athletic flooring stands suspended over any solid surface to create the most advanced performing and safe-playing surface for the whole family to enjoy. SnapSports of Louisiana is the leading supplier of modular sports flooring and outdoor courts throughout Louisiana and surrounding areas. Whether it’s your school gymnasium, local church, indoor home facility, or recreational center, we have a premium athletic surface for you. 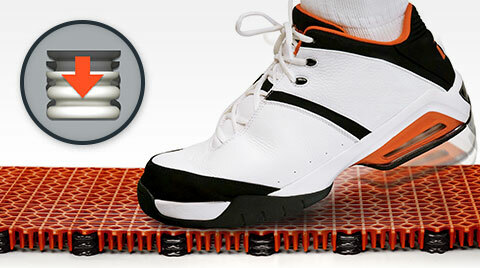 Our multi-patent courts provide the highest level of performance and safety for athletes of every level of play.